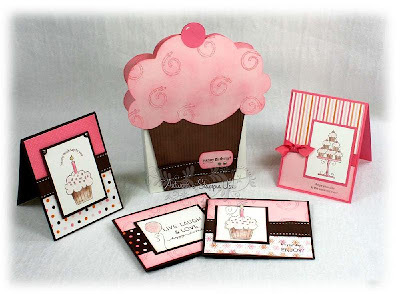 Make your next Birthday celebration an event to remember when you gift your friend or loved one with this mouth-watering cupcake - themed card set! NOTE: All workshops require you to bring your own adhesive and scissors. Don't worry if you forget your adhesive there will be some available to purchase. 613-271-7570 or by e-mail at studiono8@hotmail.com.